Great knowledge of cars on site. Answered all questions. Compared vehicles I like and get me a good deal! Everyone was very friendly and helpful. Larry was always honest and willing to help make us feel comfortable and valued. These guys rock! They are very friendly and very helpful. I will refer to people for sure. Customer service was great, and very helpful. I would recommend Autoville. Good experience, good price, and service very helpful. They stand behind their cars. Good service. They were informative and did the job properly and what was said was going to be done was done. The buying experience was painless. Salesman came through with all his promises and was helpful with the transaction. 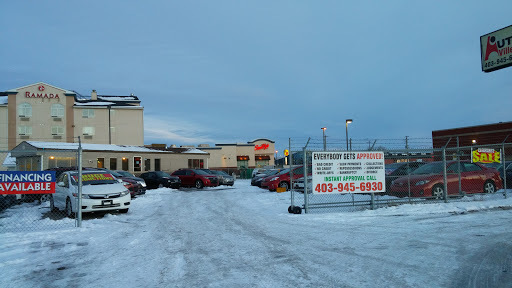 Our finance staff at Autoville Airdrie also offers expert advice for those seeking a great auto loan. At Auto House we treat the needs of each individual customer with paramount concern. Our friendly and experienced sales staff will strive to ensure that your expecatations and needs are met every time.